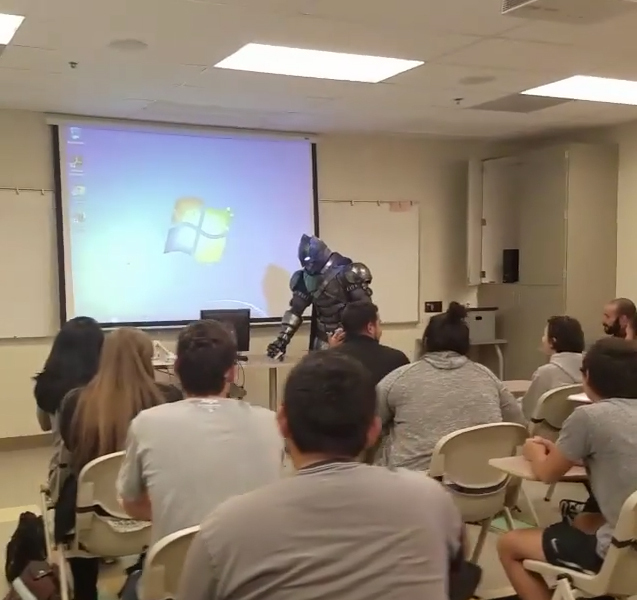 A cosplay enthusiast has shown up to do his uni presentation wearing a full Batman outfit, in the most shameless ploy to get a crowd on side ever attempted in history. 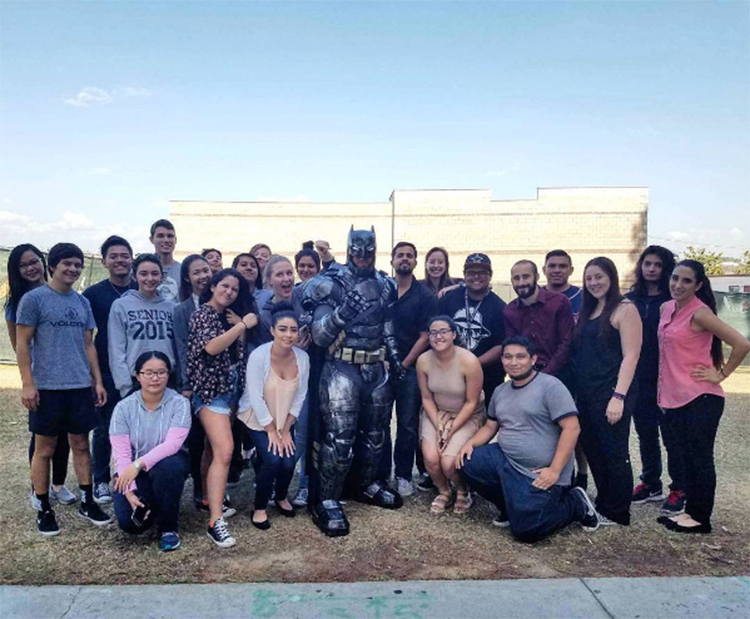 23-year-old Raymond Luna asked his professor if he could deliver his presentation whilst wearing a full Ben Affleck-era Batman costume. His professor said fine, and even let Luna wait outside the classroom until he was called upon to present, so that he could make an entrance. The presentation was unrelated to Batman. Disappointingly, the projector didn't beam out the Bat signal. Video via Raymond Luna's Instagram. 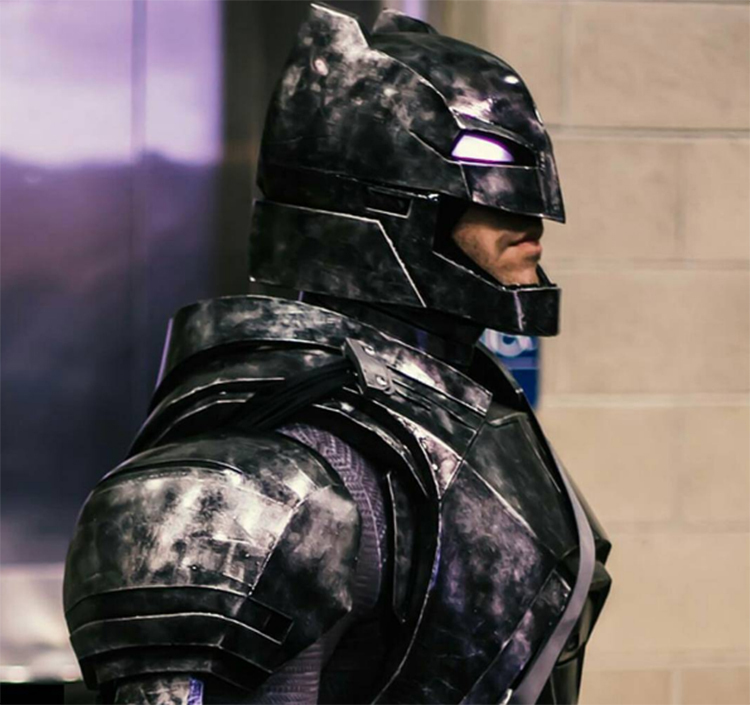 Check it out, his cosplays are incredible. "Tell me. Do you study? You will." Raymond's ploy to get his fellow students on-board with his presentation seems to have worked. 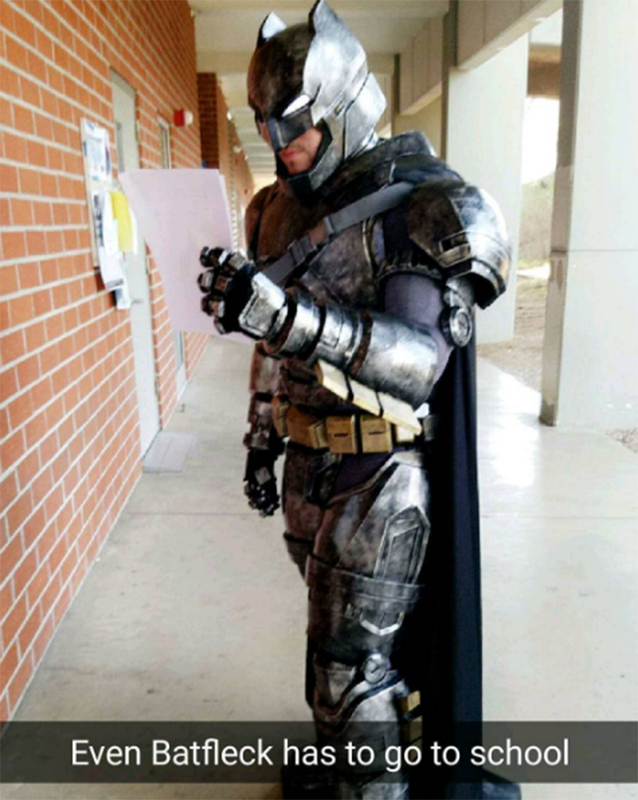 He said that his classmates loved the presentation, and many have asked him how to get an extremely authentic costume, just like his. “I’m always excited when others approve of this,” he told Buzzfeed News. “I know there was a time when cosplaying was frowned upon and looked at differently. Today, many people want to get in on the fun. "I'm not the presenter this uni wants, I'm the presenter this uni needs." Robin was unavailable to co-present. All your presentations end with a group photo, right? This isn't just because he showed up in an incredibly accurate Batman costume? So far, Raymond, who studies in Covina, California has yet to receive his grade for the presentation, but will probably not get a great mark. It's unlikely that you'd show up in full Batman costume if you weren't trying to distract everybody from the fact you're "winging it".